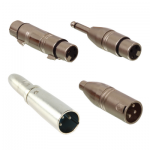 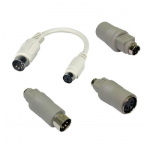 Leads Direct carries an extensive range of adaptors of all types, enabling the connection and conversion of compatible connections and signals for example allowing USB keyboards to be connected to PS/2 ports on older computers, or connecting a 5 pin DMX cable to a 3 pin DMX device, or connecting an XLR microphone cable to a jack input. 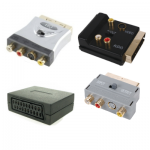 It is worth noting that many types of signal or data are completely incompatible and cannot be converted with any form of physical adaptor – most commonly asked about at the moment is the connection of SCART to HDMI which would require an analogue to digital converter and would be pointless because you would be connecting the worst possible analogue singles to the best possible digital input! 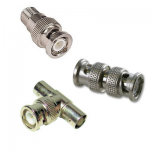 There are also partially compatible signals that can be successfully converted by interface or cable, but those will be located in the appropriate sections of the shop and not in with the physical adaptors in this section. 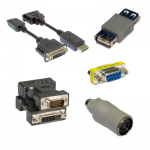 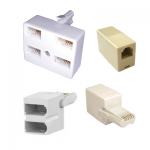 We have a wide range of Adaptors for audio, computers, HDMI, SCART, mains, USB etc. 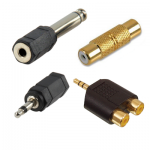 If there’s an adaptor then Leads Direct probably have it. 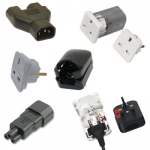 If you can’t find what you’re looking for please feel free to contact us on our Contact Us page, we’re always happy to help!